DoCoMo announced today that they will launch “i-channel,” a news and information service, and compatible handsets, the 3G FOMA 701i-series. The service will be launched concurrently with three FOMA 701i models, which are to be released shortly. 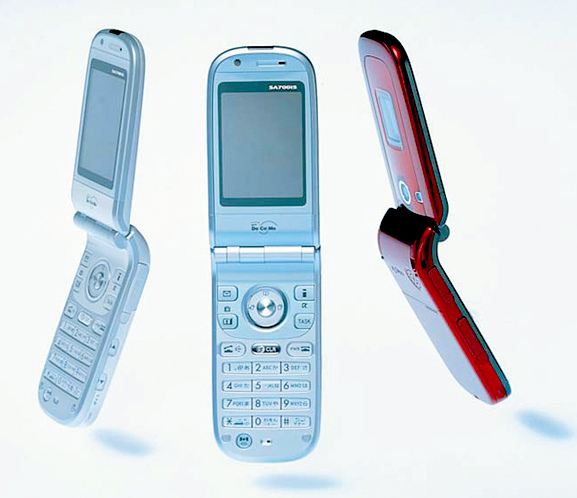 The three new 701i handsets (from Mitsubishi, NEC and Panasonic [.PDF]) will be compatible with the i-channel service and all standard FOMA services and functions, including videophone, Chaku Uta ring songs, Chaku Motion ring videos, Deco Mail (HTML mail), i-appli (Java) and Macromedia Flash applications. DoCoMo also introduced two hybrid units today; the ‘fashionable’ FOMA DOLCE and the GPS-enabled SA700iS from Sanyo. Subscribers to i-channel will automatically receive various content, such as news, weather, entertainment reports, sports news and horoscopes, delivered to the phone’s standby screen as telop text. By pushing the i-channel button, a Flash-based UI channel list will appear and the user can select the channel they want to view. Two other units introduced with the new handset series were of particular interest in the fashion and function categories. The company says that the DOLCE will bring stylish design complete with no ‘tacky’ series number and the Sanyo-produced unit becomes the first FOMA 3G handset to have GPS onboard. FOMA DOLCE is an elegant handset covered with artificial leather. The “Mobile Advanced Super-V LCD with Switchable Viewing Angle” can be viewed at a narrow or wide angle for easy reading, while illuminated one-touch keys can be used to create shortcuts to phonebook, mail addresses and other functions. In addition, an independent volume control key makes it easy to adjust volume even during a call. The SA700iS is the first FOMA handset with GPS capability. Navigation functions can be started at a single touch of the dedicated button, and there is a link to i-area to make searching for locations even easier. Users can also print images directly from the handset by connecting the phone to a printer with a FOMA USB cable. Full specs in DoCoMo’s online PDF available here. For more info on the i-channel announcement, check out IDG’s coverage here.